Steadfast, serene, immovable, the same year after year, through all the silent nights, Bruce County’s lighthouses evoke romantic mystery of lighthouse keepers devoting their lives to the preservation of fisherman and lake travelers. Spanning from Point Clark in the south, to Tobermory in the north, the Bruce Coast Lighthouse Tour features 15 distinctive lighthouse and marine heritage sites along the shores of Lake Huron and Georgian Bay.Lake Huron and Georgian has an enormous amount of shipwrecks. 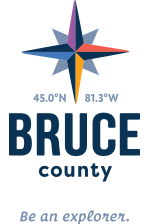 Plan to spend a week (or more) and tour the scenic communities surrounding each site while indulging in some of the unique adventures in Bruce County! Whether it’s for their beauty, romance or practicality - or a combination of all three - the mystery and tradition of lighthouse-keeping has us both fascinated and intrigued.